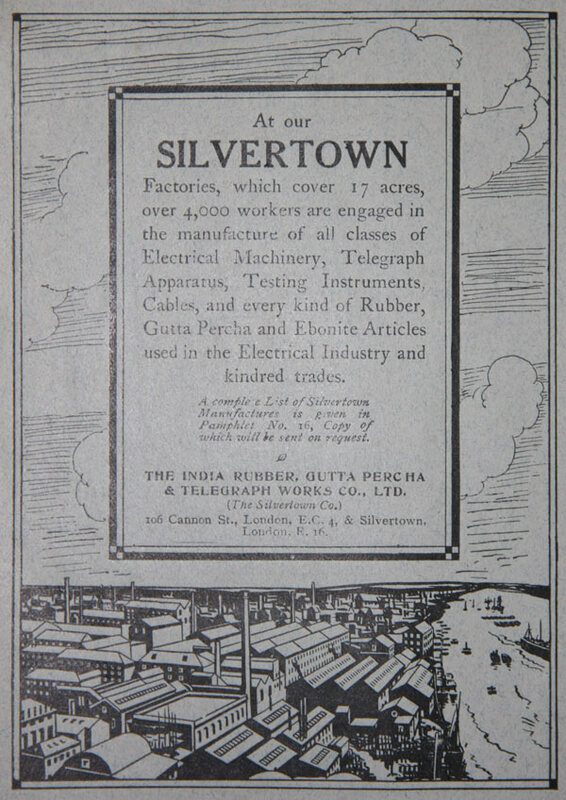 1864 Company was founded and incorporated by S. W. Silver (of S. W. Silver and Co, Cornhill); the works were in the area known as Silvertown. 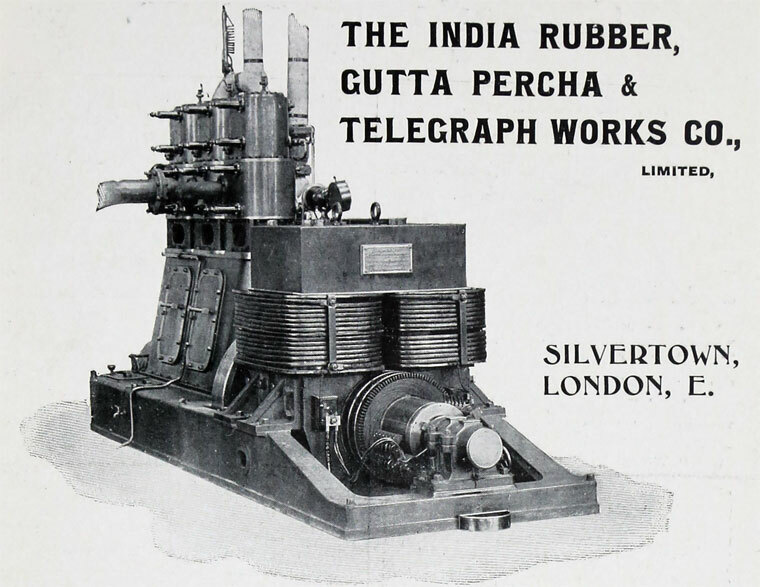 1864 The name of Silver's Indiarubber Works and Telegraph Cable Co was changed to The India Rubber, Gutta Percha and Telegraph Works Company. 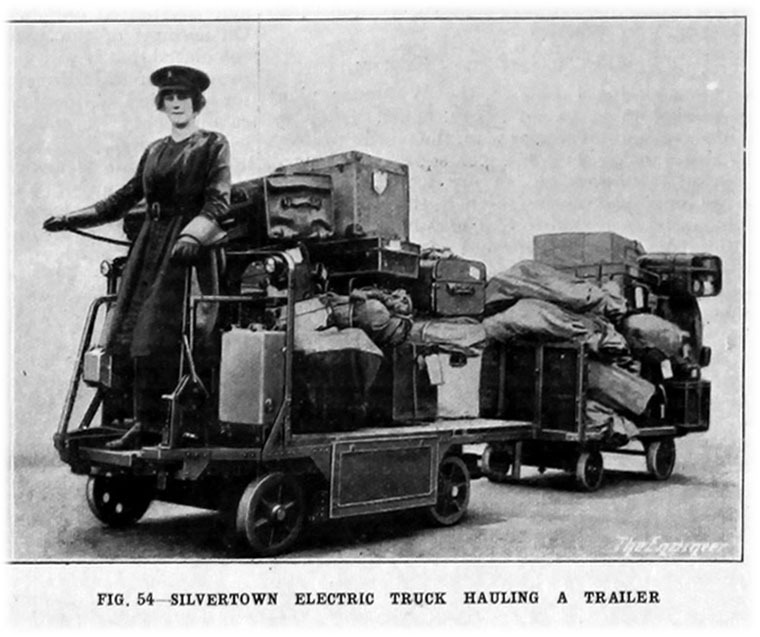 Directors included S. W. Silver, H A Silver and John W. Willans. 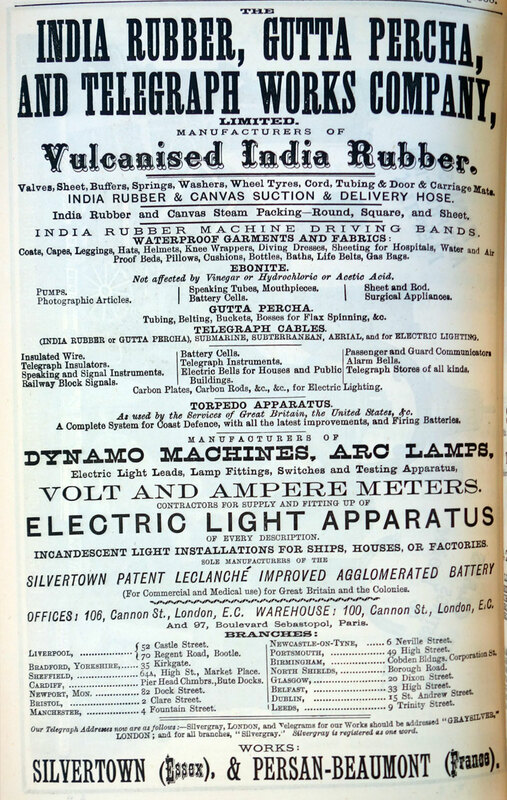 1865 The first cable manufactured and laid by the company was for the Submarine Telegraph Co, running from Dover to Cap Gris Nez. 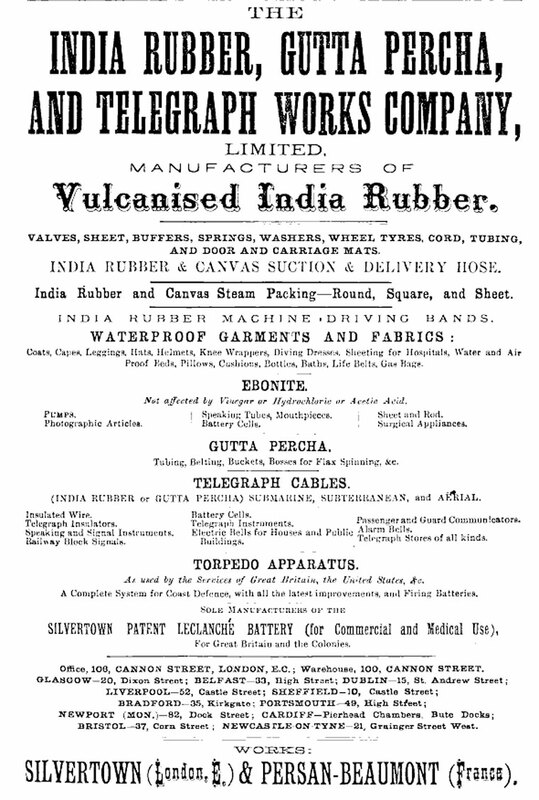 1867 A cable was laid for the International Ocean Telegraph Co which linked Havana, Cuba-Key West and Key West-Punta Rassa. This route was duplicated in 1868. 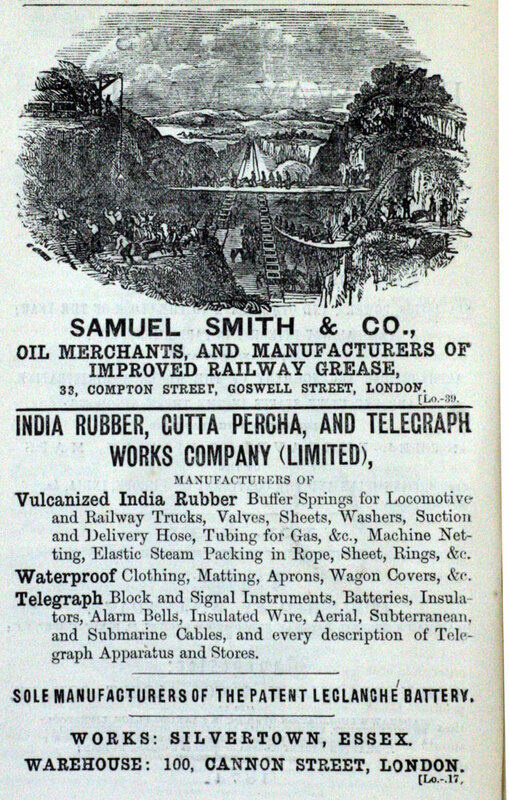 The company became active in promoting Telegraph companies and in 1870 with Sir Charles Tilston Bright and General W. F. Smith, the President of the International Ocean Telegraph Co, they set up the West India and Panama Telegraph Company, the Cuba Submarine Telegraph Company and the Panama and South Pacific Telegraph Company. 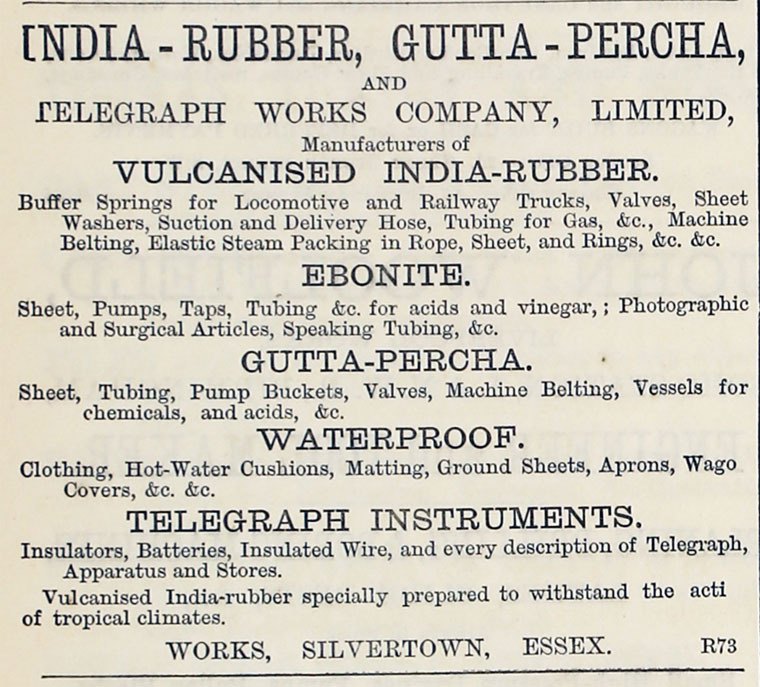 These three placed an order with the company for 4000 nautical miles of cable. 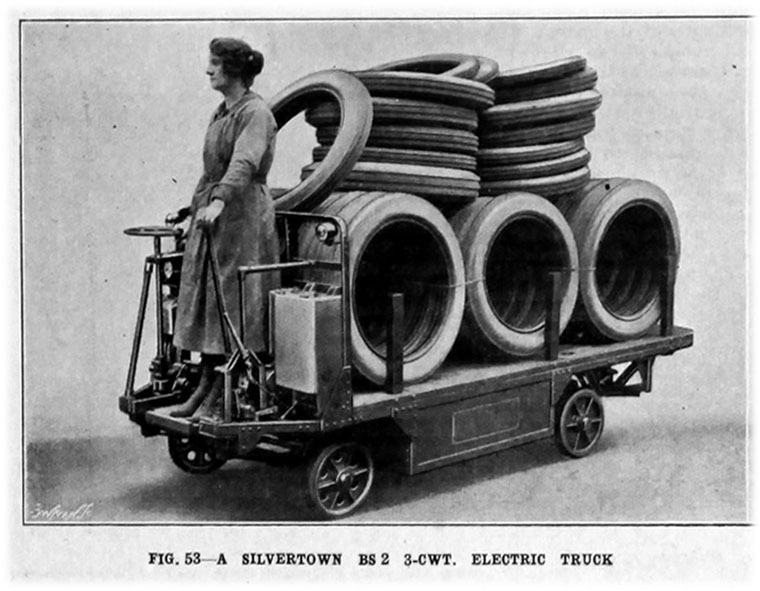 CS Dacia and CS International were used to lay these cables. 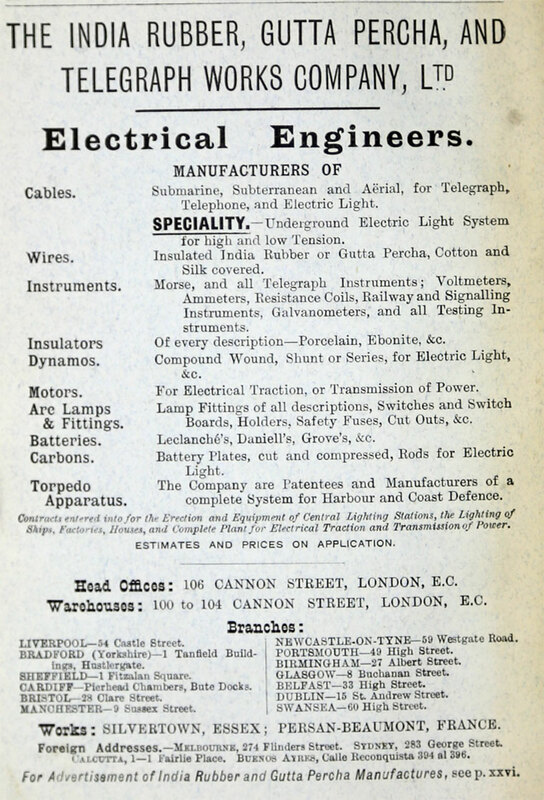 Other companies promoted were the Direct Spanish Telegraph Company in 1872, and the West Coast of America Telegraph Company in 1875. As work increased the company acquired two more cable ships, CS Silvertown and CS Buccaneer, and all four vessels were kept busy laying cables along the west coast of Africa and in South America and for the French Government. 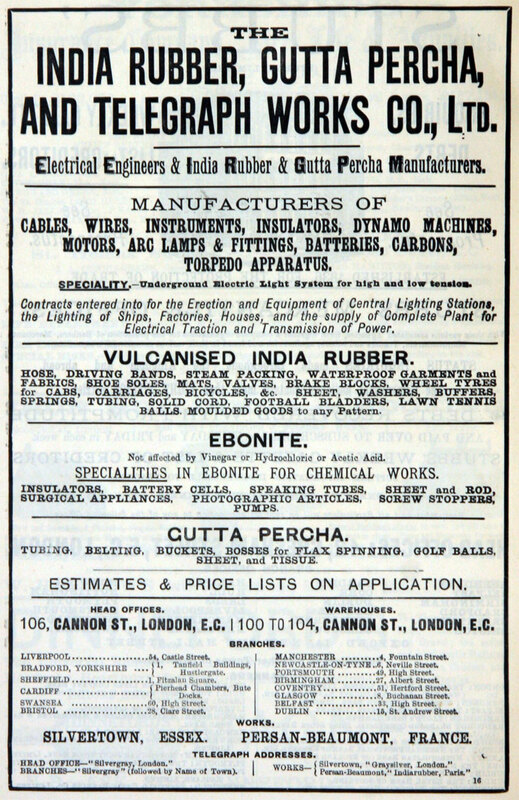 1887 From The Telegraphist of 1st April: The area of ground covered by these important works at Silvertown is about fifteen acres, the floor-area of the workshops being about ten acres; and the total number of engineers and work­people engaged in telegraph work and the manufacture of India-rubber goods is rarely less than 2,800. 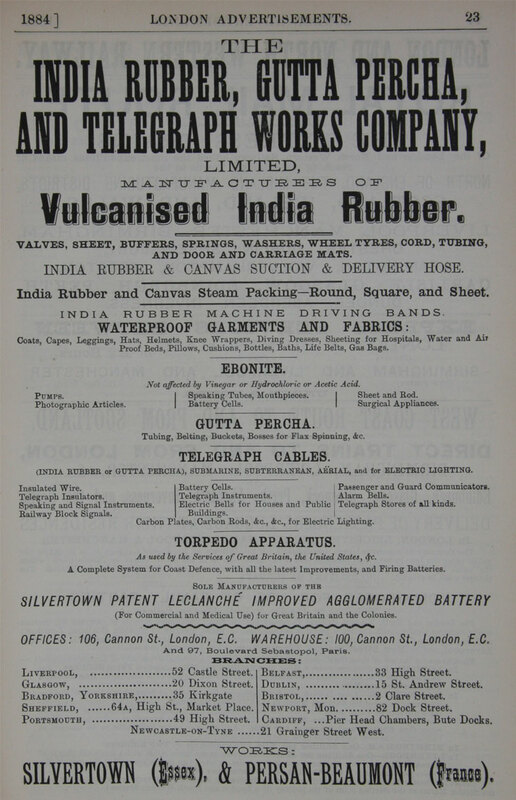 In addition to this the Company has works in France, where about 300 persons are employed in the same class of work; the total annual pay of the workpeople for both these works amounting to about £110,000 per annum. 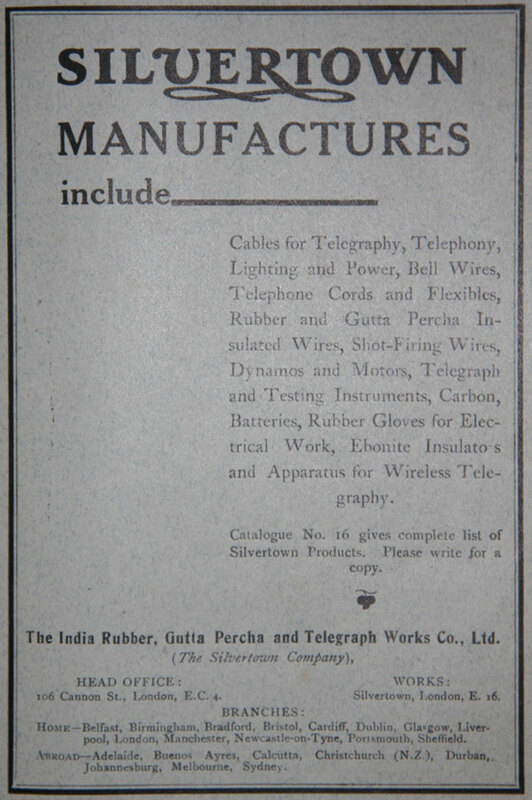 The principal business of this company is the constructing and laying of submarine cables. The company's head offices are at No. 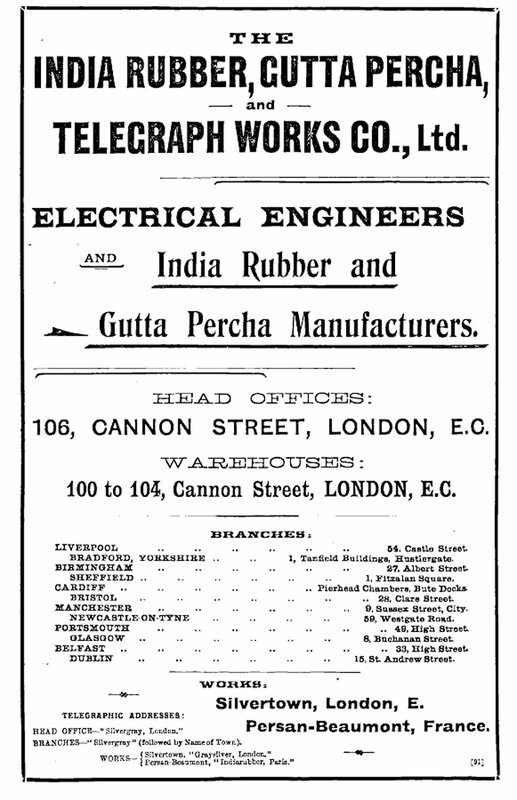 106, Cannon-street, London, E.C., and they have agencies in the chief towns of the United Kingdom and abroad. 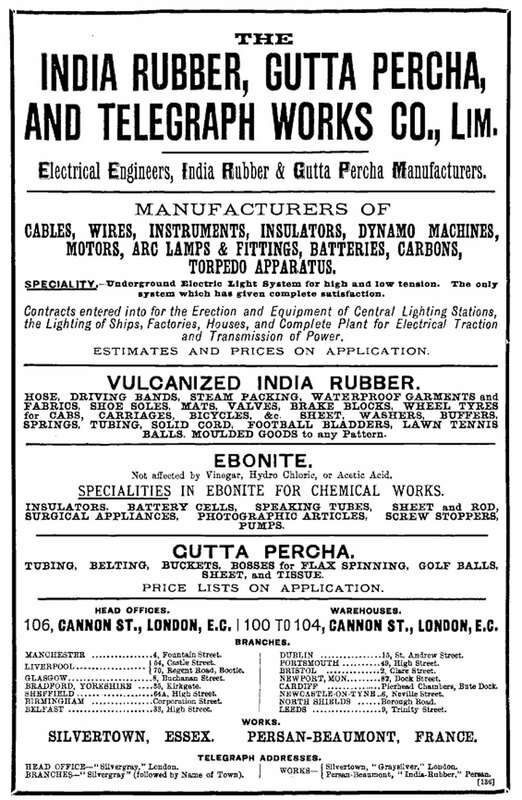 1902-12 During this period the company manufactured few cables but its ships were kept busy on cable repairs or bulk cargo charters. 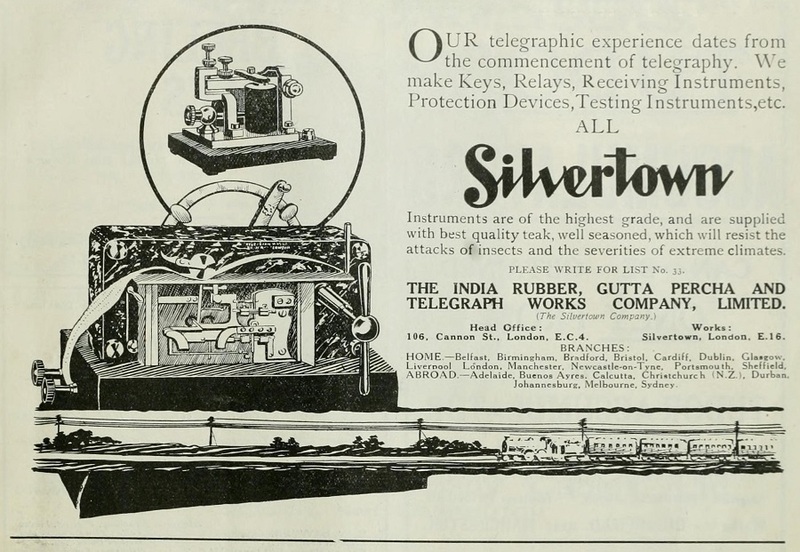 1922 CS Silvergray was purchased and converted to a cable ship. 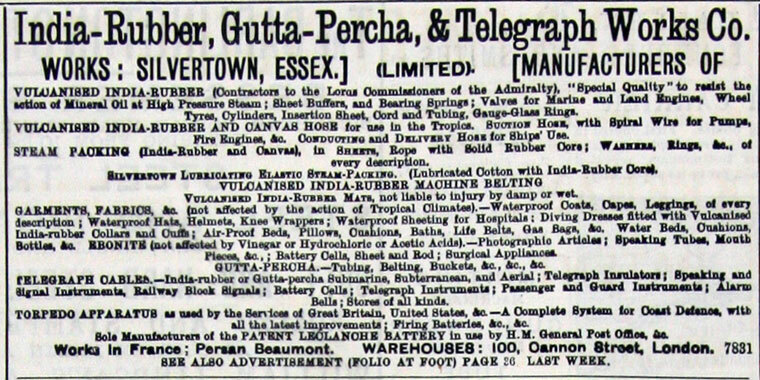 The vessel was only used for two or three years before being sold to the Medway Steam Packet Company. 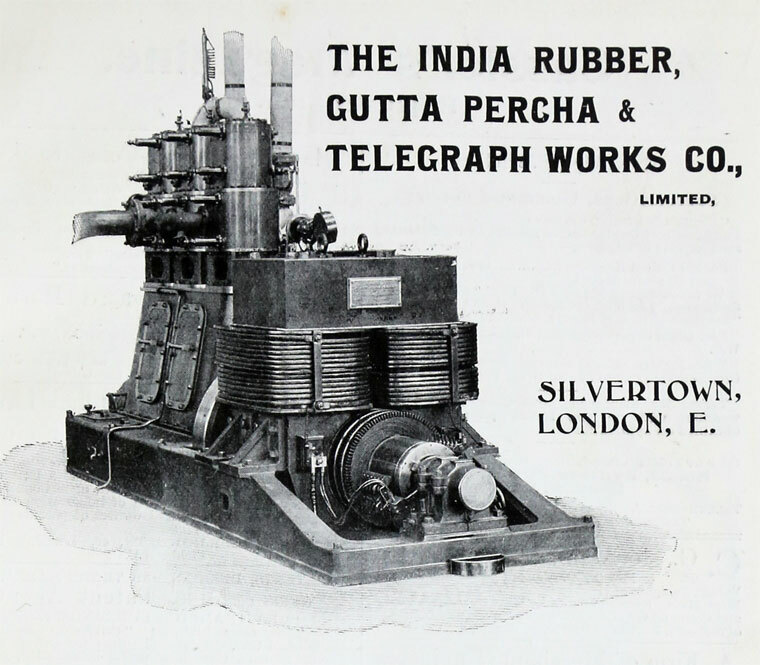 As well as cable manufacture the company also supplied electric generating plant to towns and cities in the United Kingdom and on the Continent. 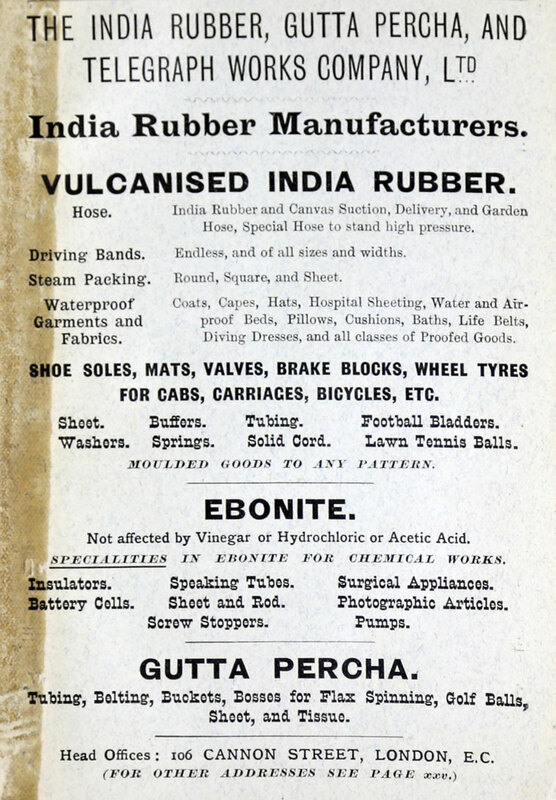 In the 1890s they began producing bicycle tyres and later car tyres. 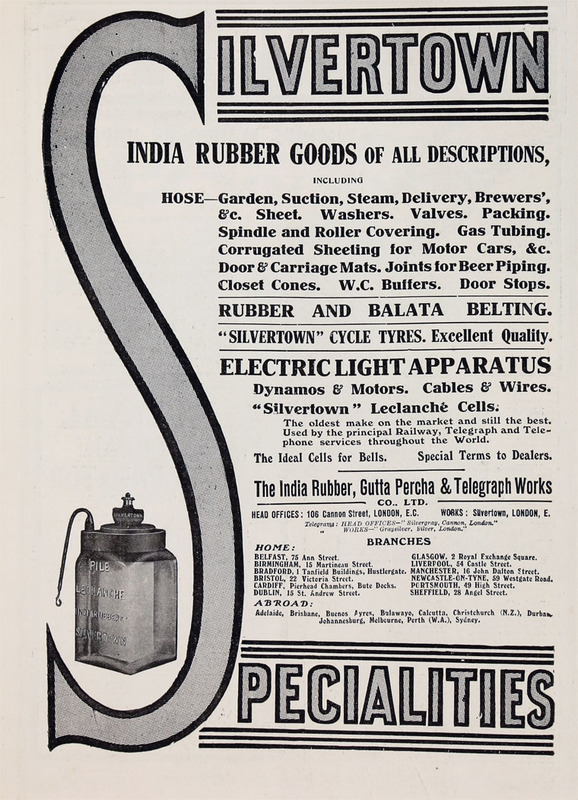 1923 the works employed 4000 people and covered an area of 17 acres. 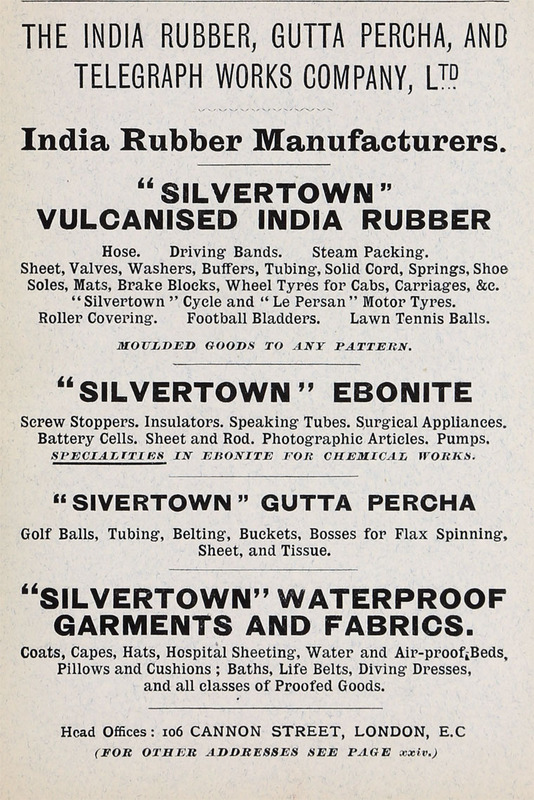 In addition they had factories in Burton on Trent and France. 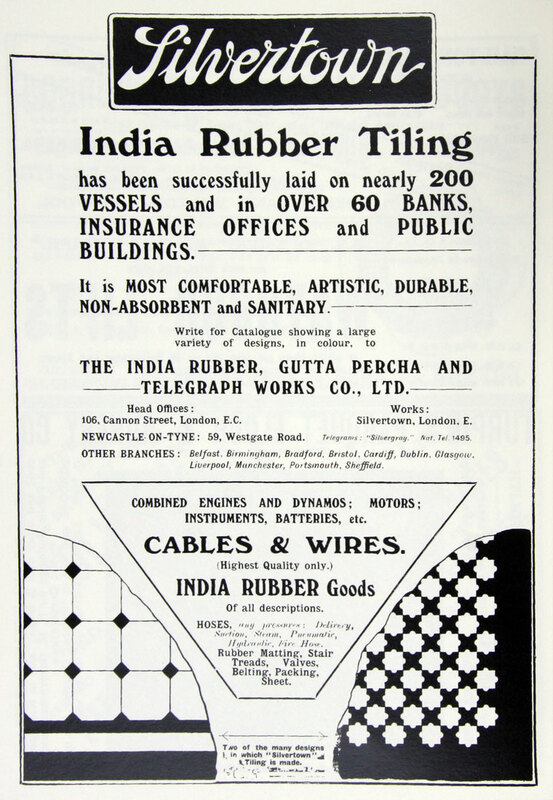 Around 1927 the company began experiencing financial difficulties. 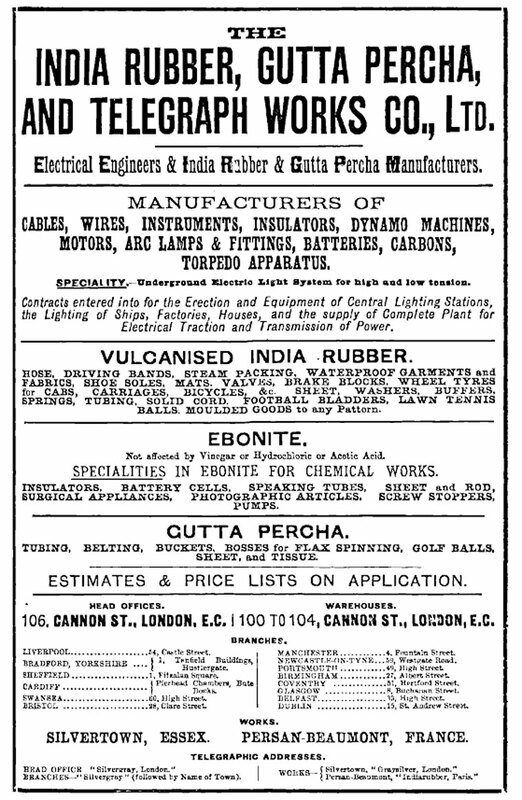 1933, the British Goodrich Rubber Co, a wholly owned subsidiary of the B.F. Goodrich Company, Akron, Ohio, acquired a controlling interest. 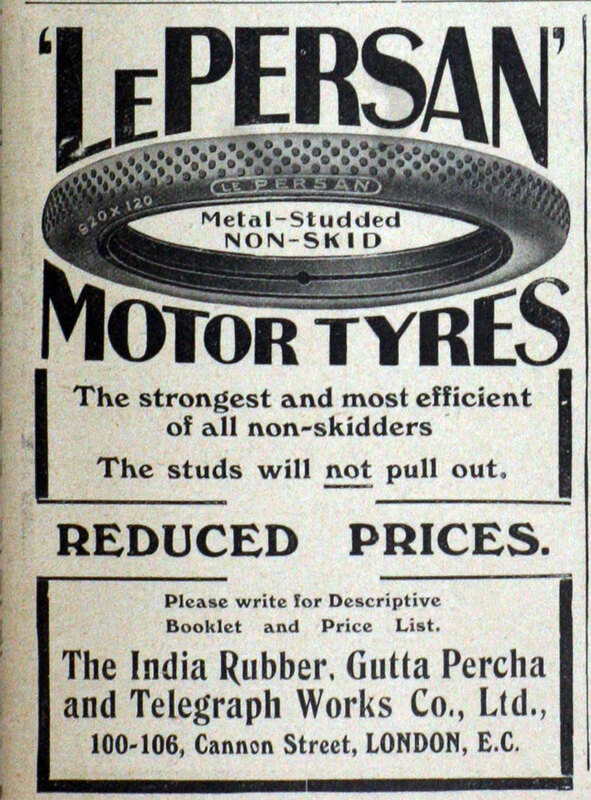 1934 The following year B.F. Goodrich Company sold most of its shares in the British company which at the same time changed its name to the British Tyre and Rubber Co.
1956 British Tyre and Rubber Co changed its name to BTR Industries Ltd following its decision to cease manufacturing rubber tyres. 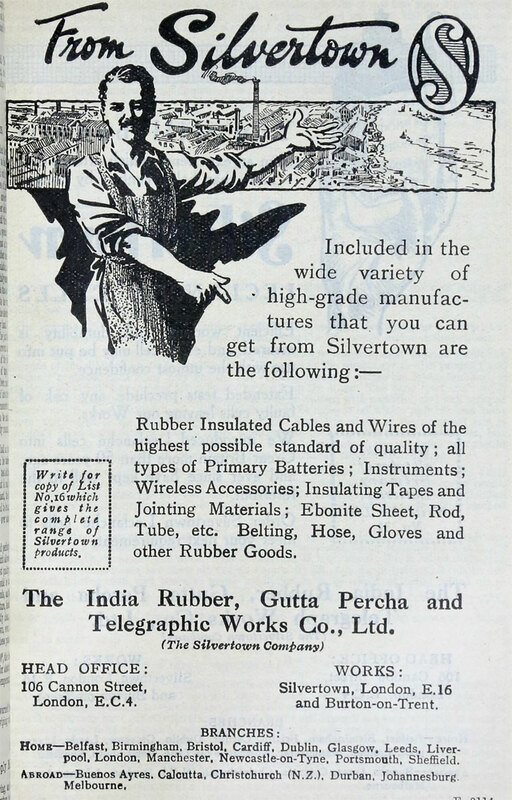 During the 1960s BTR underwent a reorganisation, the Silvertown Works site was sold and was redeveloped as the Thameside Industrial Estate. 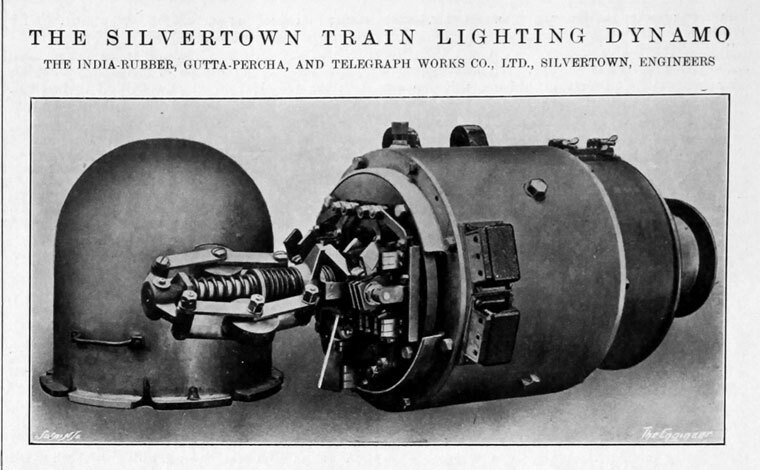 1999 BTR merged with Siebe to become BTR Siebe, the name later being changed to Invensys PLC. This page was last edited on 15 January 2018, at 16:20.